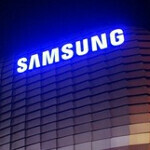 Delay in Android 4.2.2 update for Samsung Galaxy S III and Samsung GALAXY Note II? A tweet sent out by SamMobile might have turned a pleasant day into a rather rough evening for many, especially if they own the Samsung Galaxy S III or the Samsung GALAXY Note II. You see, both of those devices are powered by Android 4.1.2 at the moment, and yeah there is nothing wrong with that build of Android. After all, it brought the smooth scrolling of Project Butter, the timely information that comes from Google Now, and actionable notifications that save you time and effort. But with a newer Android build available, it is that human desire to always own the latest and greatest that makes you yearn for Android 4.2.2. We all know that Android 4.2.2 will eventually come to the Samsung Galaxy S III and Samsung GALAXY Note II. After all, both models are still powerful devices and the Samsung Galaxy S III will end up with many of the same features that are on the sequel, including the Android 4.2.2 that the Samsung Galaxy S4 launched with. And if the Samsung Galaxy Ace 3 can come with Android 4.2.2 out of the box, you just know that the Samsung GALAXY Note II will be updated as well. But getting back to the tweet, the message certainly wasn't one of joy. Apparently, the Android 4.2.2 update for both the Samsung Galaxy S III and the Samsung GALAXY Note II have been delayed because of the new version of TouchWiz that needs to be tested on both models first. Considering that, as we pointed out already, some newer Samsung devices already are running Android 4.2.2, we don't expect too much of a delay before the update is finally rolled out. And remember, the best things in life are worth waiting for, right? fragmentation is just a stupid geek word... Do you mean that they have different specs of handset, and many different versions of the OS, with different GUI addons??? then look at the standard windows PC!!! lots of different specs, from 10 year old PC still running win98, a server still running win2000, lots more running the basic version of XP, some with shell customizations, even many APPLE laptops running a partition with XP, then win7 and win8 with many customizations, oh and dont forget, the home, home premium & professional versions of the above!!!! so WHY have you geeks not called all THAT fragmented??? quit with the stupid talk!! Im so happy with my expensive and sexxxy iPhone 5. I get all my updates on time. Best apps in the world, NO LAG, best battery life, and most importantly, ITS NOT CHEAP PLASTIC! [YOU] forgot to mention: iPhone 5 is the only phone in the uniWorld that takes beautiful purple pictures. Not to mention, iPhone 5 is the only phone in the world with a newly, but importantly, placed headphone jack which allows connection of those reVolutionary new headphones. Lest we forget, an all-new connector so that you can either buy a new adapter at $39.99 to use all of your old obsolete accessories or you can simply opt to buy new accessories (anywhere from $80 to $1500, depending on what you have). BTW, if You need to find Burger King on your iPhone 5, simply search on Apple Mapa by typing un "catedral". That is so true. Haha. This made my day. Were You dancing to Tom Jones when You dropped tour iPhone 5; you know, 'it's not unusual...'! You sound upset broseph. Where you bullied by an Apple employee at some point? None of the things you mentioned is a big deal btw...nice try though :) iPhone5 will still sell and get timely updates. Apple will always be mentioned in any Android article because they set the bar. Best battery life goes to Droid Razr MAXX HD so you're a joke to me. Best battery life? Haha no where near my Note2. Note 2 is not lag at all. "best battery life"??? ... everytime iSee an iPhone in public it's plugged (into a socket)!!! "Best apps in the world"??? ..... at an average price of $9.99, they'd better be the best!!!! (even if it just further validates you to believe that)! "NO LAG"??? .... yeah, usually when one is connected to iWiFi at one's local Starbucks (aka concrete pasture for people with baaa-aaaa-haaa-aaaad reception due to misplaced antennae) there usually is "NO LAG" ! Note 2 battery beats the iPhone 5 any day. Is there any apps to backup SMS in your precious iPhone, since you said best apps in the world. You'll be really happy in September when you get some of the features Android had had for years. Not all, mind you, but some. Maybe they want to add some features that have in newest update for s4 I WANT APP TO SD!!! Funny, as some troll the other day was implying HTC sucked on updates and the reason was, just look at the One X it got 4.1 with a new Sense, and it also is getting 4.2 with Sense 5 and apparently is undergoing testing right now. HTC is one of the worst OEMs when it comes to updating their phones. Why did it take months for them to update the One X and One S to 4.1 JB? You can count on a 4.2.2 update in Q4. can you tell the same about htc sensation?? because the gs2 even still got official 4.1.2 from samsung.. the sensation haven't got official jelly bean yet without rooting..
ummm S3 got 4.1JB long time ago? the fact that HTC ONE hasn't gotten the 4.2 update yet, you'll probably have to wait till December for your 4.2 update on your One X.